A clear sea, from emerald green to intense blue, bathing over 90 km of Coast. Here you will find jewels of the nature of extraordinary beauty intertwined with typical seaside resorts: from Marina di Cecina to Castiglioncello to Quercianella, from Marina di Bibbona to San Vincenzo. One of the most beautiful gulf in the Etruscan Coast is certainly at Baratti the Buca delle Fate, the Long Beach, the Perelli beach and the Torre Mozza: over 30 km of white sandy beaches, rocky inlets, green and very extensive pinewoods. The particular charm and their uncontaminated beauty. The archaeological area adjacent to the beach of Baratti is full of Etruscan and Roman finds. Along this stretch of coast you can visit Cala Moresca, in Piombino, the most popular beach in the city, characterized by sand and gravel, especially frequented by the youngest. To access it you must cross a ramp downhill on the sea. From here you can visit Punta Falcone and Monte Massoncello. Do not miss Cala Violina, the beach that plays. Point of great interest for the tourist, small cove near Punta Ala, in the Maremma, in the Commune of Scarlino. Its great peculiarity is given by the fine grain of fine white sand that, trampling it, gives the spectator the feeling of hearing the harmonic and fascinating notes of the violin. This effect is perceptible especially in the winter season. The sea here is very clear and clean and draws every year the attention of thousands of travelers. Even Cala Furia is definitely an interesting panoramic corner that fascinates the viewer. This place is located along the scenic road from Livorno to Castiglioncello and lined the sea. Also the beach of Marina di Bibbona is very impressive and offers a small splint of this our Earth. Large sandy beach, partly free, partly featured by numerous bathing establishments, equipped with bars and services. Not to miss the White Beaches in Vada with its white sand and crystal clear sea; the characteristic promenade of Castiglioncello full of difficult to reach cliffs and typical beaches that are easily reachable. Convened with the hotel, discounted tickets. The Cavallino Matto is the largest Park of Tuscany, the greenest and eco-compatible of Centro-Italia: completely immersed in the green, extends over 100,000 square meters in the pinewood of Marina di Castagneto Carducci. Hotel Fattoria Belvedere has an agreement with the park: stay with us and get the discounted tickets. Gallorose Park covers an area of 5 hectares: in a true oasis of greenery and shade there are more than 150 species of wildlife and domestic breeds of mammals and birds. 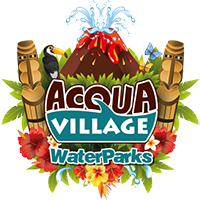 In Cecina, nestled in the Etruscan Coast, you can discover a corner of Hawaii immersing yourself in the water park, nominated as Best Water Park in Italy at the ParksMania Awards. At Cecina Water Village you will find a right mix of adrenaline and relaxation suitable for an audience of all ages. Hundreds of meters of slides! News 2017: Lua Pele, the Island of the Volcanoes, a unique attraction of its kind. And again Moku, Pago Island’s Island, a pool with playground and slides suitable for the youngest! Under the hawaiinan sun umbrellas you will hear the appeal of the Mauna Loa volcano- theater with the Aqua Mantica show hosting international acrobats. Wai, the fun kids circus school with activities and games in collaboration with Circus Mantica School. And then plenty of refreshments to suit all tastes.